Trade Counter software that does exactly what you need from a company that understands how you work! Straightforward trade counter software that works. Benchmark Trade Counter Software will manage your sales, pricing, suppliers and stock. It is easy‑to‑use, fast and reliable, so you can focus on serving your customers and running your business. 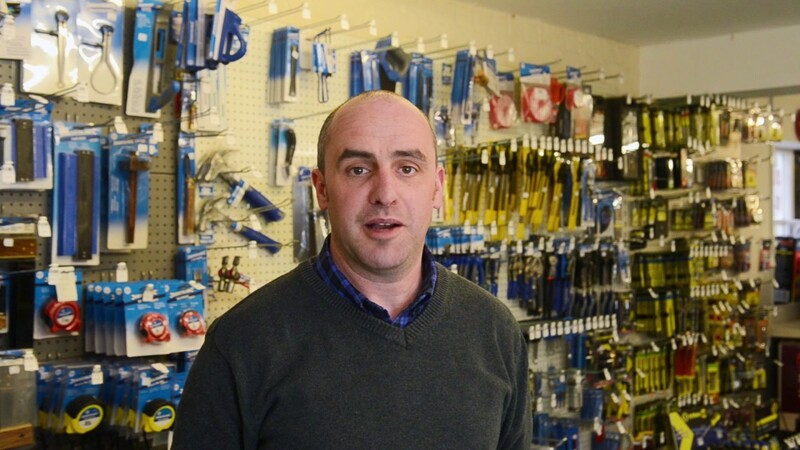 Whatever your situation, whatever your requirements, we’ll make sure that your trade counter EPOS system works perfectly for you, but more importantly, keeps your customers happy. Without this software I wouldn’t have a business. It’s brilliant! We have two trade counter systems available, Core and Advanced. Both include a full accounting package and have a wide range of options available. Helping businesses like yours for 40 years. We know what we’re doing, what will work for you and how to keep your customers happy. I’ve used another system and Benchmark are more aware, more helpful – they speak my language. Most trade counters that look at our software buy it. But you need to be absolutely certain you are making the right choice. That’s why we’re happy to “put our money where our mouth is” and give you a full, live copy of our trade counter software for you to test with as much support and training as you need. We’ll even import your own data at no cost so you can see exactly how it will work for you. All before you pay a penny. 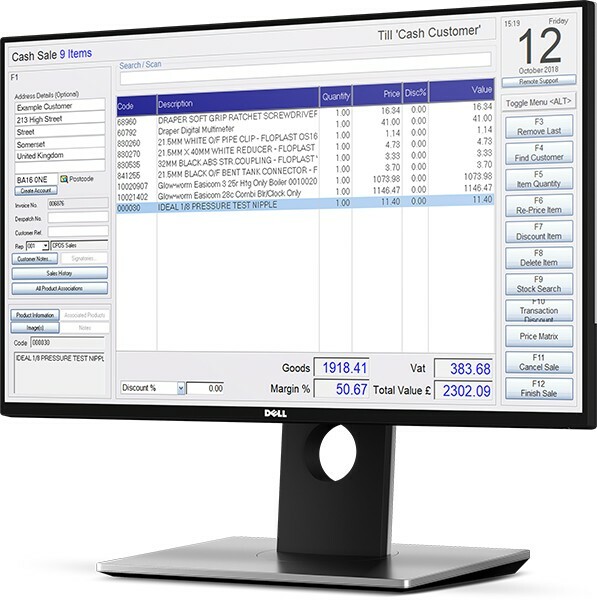 Our trade counter software not only includes a powerful point‑of‑sale system, but all the features you need to run your trade counter, including a full accounting system. And as your business grows, you can talk to us about what you need, perhaps add different modules or increase the number of users. We can even modify the software to suit the way you work. Getting your trade counter software set up can be hard work, so we try to keep it as simple as possible for you. We’ll tell you exactly what you need, and what you don’t. Our trade counter software runs on normal PCs and printers, so no expensive specialist equipment is required. We are a small company and as a customer, you’ll get to know our team of software developers and support staff. But more importantly, they’ll get to know you and how you work. We offer unlimited support and training, so if you have a question about the software just give us a call. You won’t get annoying phone menus, or “your call is important to us” messages, we’ll just answer the phone and help you. Many of our customers have been with us for over 20 years. Some for over 30. They stay with us because we look after them and they trust us. Watch how Benchmark Software streamlined J C Dyke’s sales process. Benchmark have been there since day one. The same person in the office talking to me and really made it as pain‑free as they can do. Give us a call for a no‑nonsense chat about what you need and how we can help you. Whether you are starting a new business, expanding or just upgrading your software – cashflow is key. We offer hassle‑free, flexible ways to pay for your software; and we won’t charge you extra for the privilege! Software prices start at just £600 + VAT and we can get you up and running within a couple of days. So, if you want to find out more, or just need some honest advice about setting up and running a trade counter, give us a call. Let our in‑house website design team create a professional, affordable website for you. Visit the Benchmark Web Design website. “The price list update program that Benchmark supplied is absolutely fabulous. What used to take forever is now done in a matter of seconds." "The team at Benchmark bent over backwards to get things sorted for us – you would never get that from some of the larger software providers." I wouldn’t hesitate to recommend Benchmark and their software. We have a complicated business with over 10,000 stock lines. If it works perfectly for us it will work for anyone!